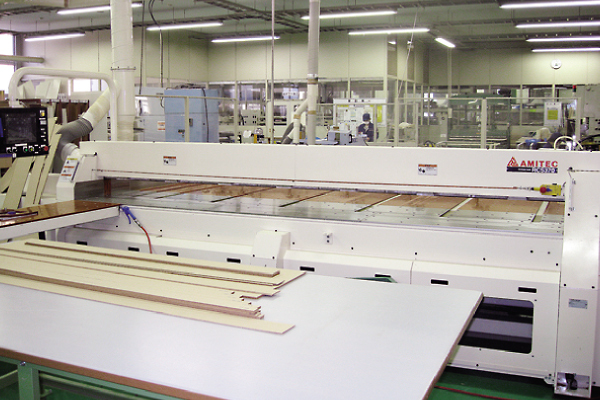 Large size materials up to 3,700mm wide are cut with this large-scale sawing machine. 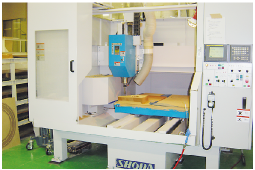 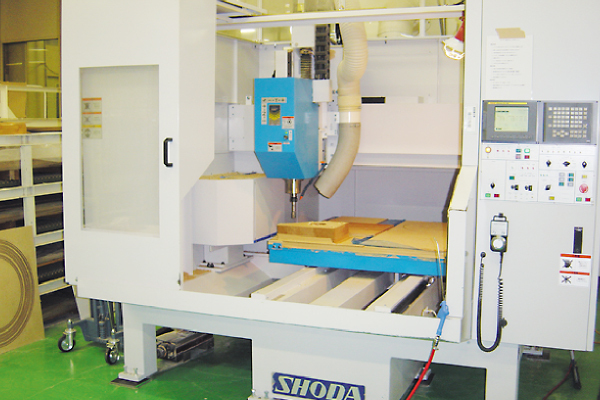 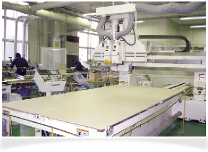 Large size materials are processed precisely with this NC router machine equiped with a large table （ 3,200mm x 1,600mm）. 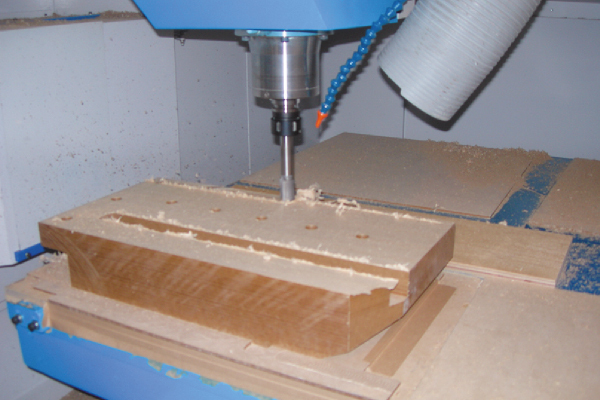 Various board formings, such as deep hole forming and tapered hole forming, are available with a NC router which forms thick materials up to 100mm. 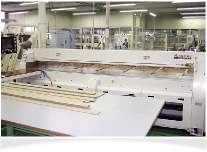 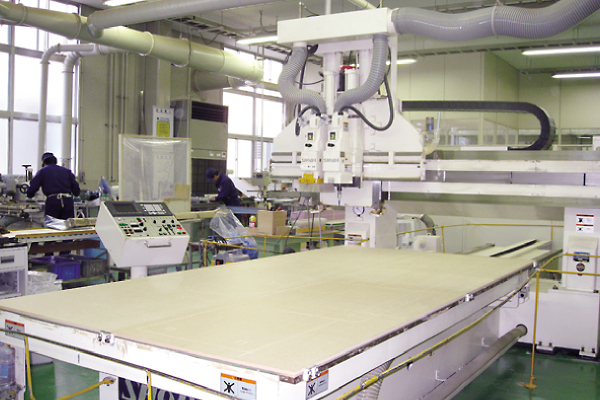 Large scale boards and thick boards are formed by routers.